It was love at first sight when we spotted these Michael Miller Llamas! The colours, the patterns, the subjects ❤️. We're partial to everything Latin American here at Fabric Yard and these Peruvian beauties ticked all our boxes. They had everything we love in a fabric! 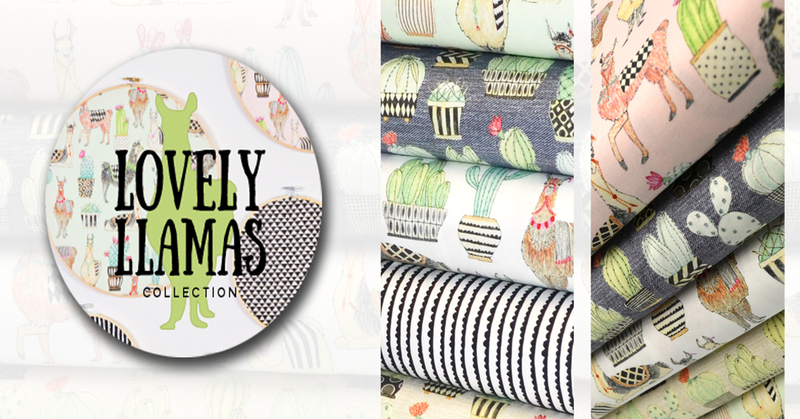 We have the main Lovely Llamas print in white, pink and mint along with the Cactus Hoedown print in grey and tan. We added in the Hedgerow co-ordinate in black and white as well for good measure. You'll spot it the pattern in some of the cactus pots! See our full range here!